In the mountains of Missouri, Fort Leonard Wood trains and educates service members and develops doctrine and capabilities for the U.S. Army Chemical, Biological, Radiological, and Nuclear School, U.S. Army Engineer School, and U.S. Army Military Police School. Fort Leonard Wood, a military community located in the beautiful south central Missouri Ozarks, covers more than 61,000 acres. The fort is located in Pulaski County, Missouri. Fort Leonard Wood is home of the U.S. Army Maneuver Support Center, where all chemical, engineer and military police soldiers, plus many marines, airmen, sailors, coast guardsmen and international students from allied nations receive training. 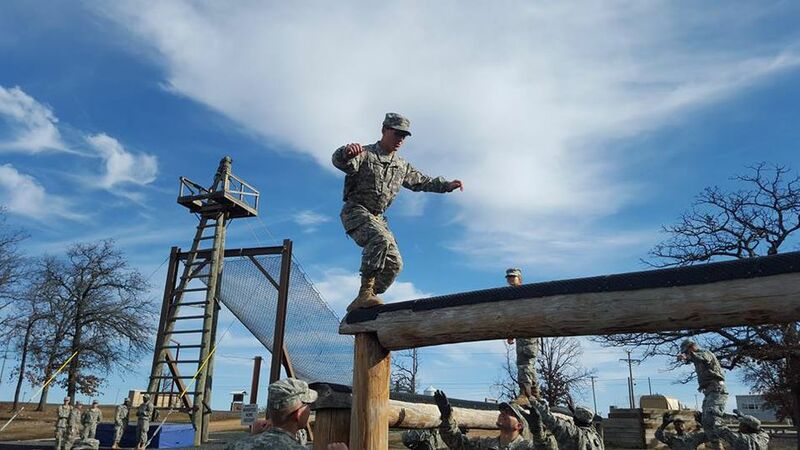 Since 2000, Fort Leonard Wood has been home to the training schools for Army Engineer, Chemical, and Military Police Schools, under the combined Maneuver Support Center (MANSCEN). Fort Leonard Wood is an U.S. Army installation with other branch detachments that has evolved to a premier Army Center of Excellence that trains about 90,000 military and civilians each year. The fort is located in Pulaski County, which has a population of nearly 45,000. Bordering the installation to the north are the towns of Waynesville and St. Robert, with an approximate combined population of 6,700. The post is a two hour drive to the east from St Louis. Fort Leonard Wood is home to the 3rd Chemical Brigade, 1st Engineer Brigade, 3rd Training Brigade, and 14th Military Police Brigade. All chemical, engineer and military police and transportation Soldiers, plus Marine, Airmen, and Sailor detachments and international students from allied nations receive training at Fort Leonard Wood. Population at the installation consists of nearly 6,000 active duty; 12,000 plus family members; and 3,000 civilians. Fort Leonard Wood has temporary lodging facilities available. The Unaccompanied Enlisted Personnel Housing facility is mainly for enlisted soldiers who are visiting Fort Leonard Wood for educational purposes. Pets are not allowed in UEPH. Morelli Heights contains two types of lodging areas: Extended stay rooms and suites. Sturgis Heights contains two types of rooms: Extended stay rooms and family suites. Foster Lodge has 70 rooms, of which four are handicapped accessible. Each room is a suite with one queen size bed and a separate living area. Fort Leonard Wood Homes offers move in ready two, three, and four-bedroom homes in both single-family and townhome styles. Fort Leonard Wood residents enjoy the convenience of 24-hour maintenance, lawn care services and community events. There are no permanent party Bachelor Officer Quarters at Fort Leonard Wood. Bachelors in the grade of E1 to E3 are assigned space in Specker Barracks. Bachelors in the grade of E4 to E5 are assigned living quarters on Indiana Ave. These are renovated family quarters that have been reallocated for use by single soldiers. All personnel in the grade of E6 to E9 must reside off post. Waynesville R-VISchools serve an area and population unlike any other in the state of Missouri. About 75 percent of its students are military family members whose parents are assigned to Fort Leonard Wood. The remaining 35 percent are from the Waynesville-St. Robert communities. Many of the students in the school district were born in other states than Missouri and some in foreign countries. The Child and Youth Services Division on Fort Leonard Wood provides support to installation families through five branches. The Fort Leonard Wood (FLW) Child Development Center offers full-day, part-day and hourly care for children 6 weeks to 5 years of age who are not in school. The Family Child Care Program (FCC) is an in-home care program which offers a family atmosphere with a limited number of children. FCC also offers full-day, part-day and hourly care, but also offers extended hour care to include early morning, evening and weekend care. The School Age Services Program is a before and after school program and a full day program on non school days. This program is for children from kindergarten through 5th grade. The School Age Services Program offers several programs including Before/After School,Full Day Summer Program and School Age Services program. Outpatient care at Fort Leonard Wood may be accessed through one of two options: the Family Practice Service Option or the Multi-Specialty Option, which includes the services of the Internal Medicine Clinic, the Pediatric Clinic and OB/GYN Services.